Town and gown relations in St Andrews are at an all-time low, it has been claimed, amid complaints that Scotland’s oldest university is “ignoring its social and moral responsibilities” to house students. As the new academic year starts, the University of St Andrews has been accused of “spawning a bonanza” for buy-to-let landlords who have snapped up council houses in the wealthy Fife town to let to students, out-pricing local people desperately seeking homes. Rents for former council homes can be as high as £2000 and it has emerged recently that around one in five houses in the town centre are lying empty. The Times reported earlier this year that more than 600 people were on a waiting list for a house in St Andrews, which is home to nearly 10,000 students. Many students share privately and rent former council homes sold off under the right-to-buy, now licensed as Houses of Multiple Occupancy (HMOs). 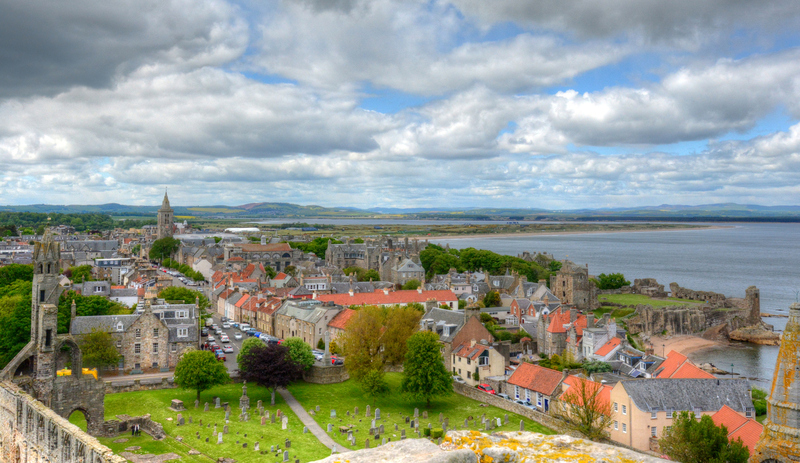 St Andrews has the highest percentage of HMOs in Scotland. Fife councillors recently voted to impose quotas on HMOs but a final decision was postponed until February 2019 with a public consultation on-going. Students claim their views were ignored and launched a voter registration campaign, while a community council election was postponed so that students, now back from holidays, can apply to be members. Critics claim this is an attempt to subvert local democracy. The Confederation of St Andrews Residents’ Associations, which opposes more HMOs, said: “Students who are here for only about 26 weeks in the year, and have many choices of accommodation, apparently feel that their needs should be given priority over homeless families. Linda Holt, a Conservative East Neuk councillor, said: “Students have displaced families and working people. School rolls have plummeted with one primary school closing altogether. The University has treated the town as a dormitory. In reply, a spokesman for the University of St Andrews said it provides more accommodation for students per head than any other UK university and is building another 900 rooms. This article was also published in The Times on 23 September.